Republican presidential candidate Mitt Romney made reference to a universal god during Wednesday night’s presidential debate via a single statement not particularly related to the debate issues at hand. “We’re a nation that believes that we’re all children of the same God,” Romney said. He had referred to the Constitution just moments prior, noting that Americans are “endowed by their Creator with unalienable rights,” and that among them include happiness. 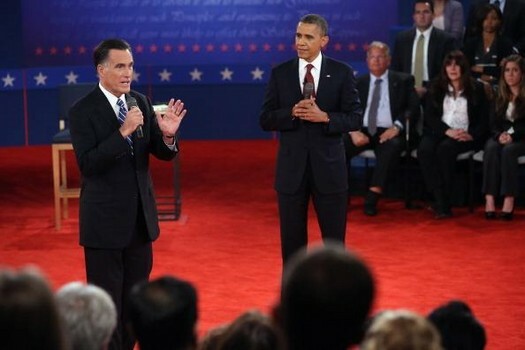 Romney was advising the audience that he wanted people to have happy lives by living successfully in America. Romney’s wife Ann, who was present in the audience, had made a similar statement in a previous speech. “We are all children of the same God, and we have to come together to solve our problems and not be fighting so much,” she said.